7. When the download is completed ‘END’ will appear on the front display. The file you download will already have the “.hdf” extension, there is no need to add the “.hdf” extension; your Windows explorer options maybe hiding filename extensions. 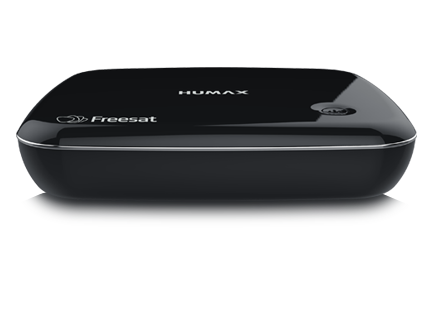 Freesat is a free to air subscription free service which provides you with access to the nations favourite selection of TV channels. To access this service, you are required to have a satellite dish installed at your home. With an external HDD connected you will be able to either record or watch one channel at a time. Can I connect the HB to my Sky Dish? How many satellite cables do I need? Only one satellite cable is required. The HB-1100s does offer the ability to connect to WiFi. At the top of your remote you will see two buttons labelled TV & STB, please press the STB button and then attempt to control the HB-1100S. BBC iPlayer, ITV Hub, Demand5, BBC Sport, Netflix (subscription required), UKTV Play, TVPlayer, France24, Youtube, Rakuten TV (subscription required), STV Player, BBC News, Ketchup and Pop Fun. Unfortunately, on the 22nd of February 2018 Channel 4 made the decision to remove the Channel 4 HD and All4 On Demand services from the Freesat service. For more information, please contact Freesat or Channel 4 directly. Catch-Up TV is indeed available and can be accessed directly via the EPG, we also have a dedicated Showcase section to highlight he best programmes available on Catch-Up this week. Due to copyright legislation this is not possible. You can yes, this can be accessed via the HB by either USB or DLNA. Your remote can be programmed to control the HB, once the programming has been completed you need to use the STB & TV buttons at the top of your remote to control either the television or your set-top box. With the Freesat Remote Record App available on Android & iOS devices you can set your favourite programmes to record while on the go. The app also doubles up as a remote control for when you just can’t get your hands on the remote. The default option for the guide will always list both SD and HD channels, you can press the List button to look at specific genres within the EPG. You can use the fast-forward and rewind buttons to go forward or back by 24 hours. The EPG can go up to 7 days ahead. You can use the Search button on the remote to enable you to search programs both on live TV and On Demand. You’re able to use the left directional button to go backwards on certain channels to catch up on content you’ve missed – a broadband connection is required for this. Software updates for the HB-1100s are done automatically via your satellite connection. How do I check my device is operating on the latest software?